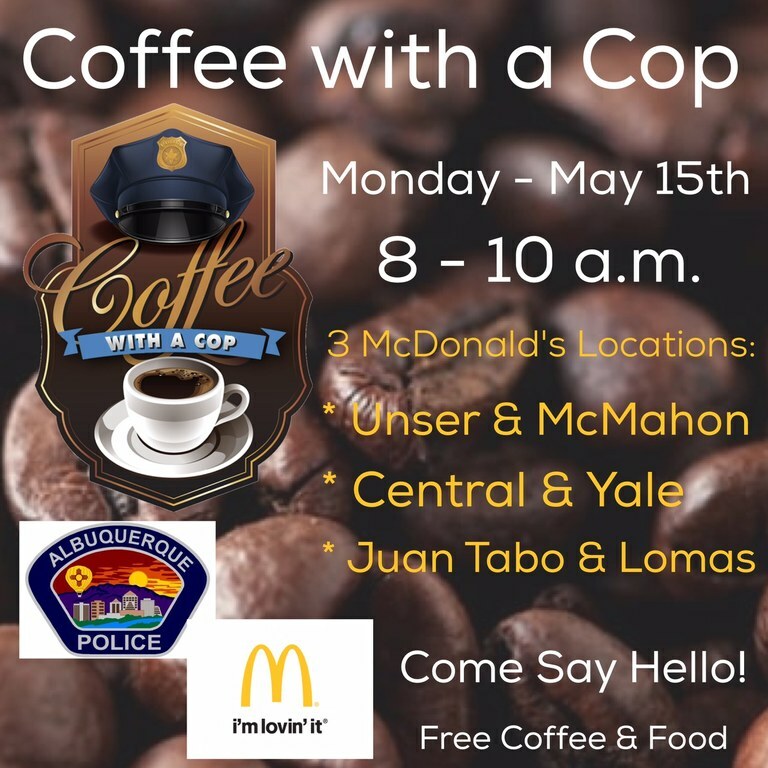 The Albuquerque Police Department is teaming up with local McDonald’s owners and jointly hosting three simultaneous Coffee with a Cop events throughout the city. The goal is to give residents an opportunity to come together with officers and discuss issues, concerns and ideas on how to further improve our community and community policing. 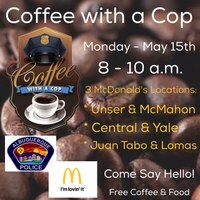 TIME: 8 a.m. – 10 a.m.
Come meet your neighbors and officers who work in those areas. There are no agendas or speeches, just a chance sit down and have one-on-one casual conversations. There will be free coffee for attendees and sampling of McDonald’s menu items.